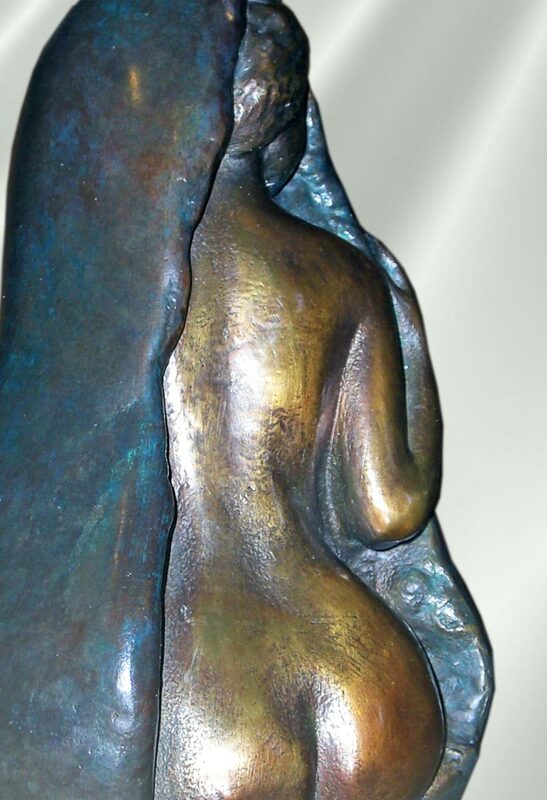 This sculpture is one of Eva’s most popular pieces, probably because of the peek-a-boo nature that makes people smile. 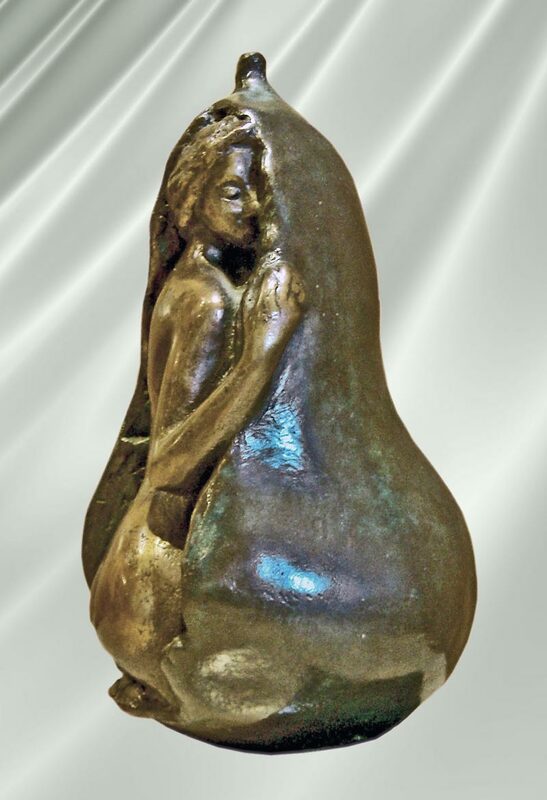 It features the use of two different patinas to highlight girl inside the pear. Its a lovely compact size and can fit beautifully into any space.